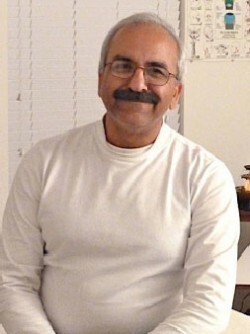 Bharat Kalra, LMT, brings over 15 years of experience in wellness and healing practice. In addition to teaching Guided Meditation at Creative Therapeutics, Bharat is a licensed massage therapist with expertise in many modalities, including craniosacral therapy. He is a Level III independent reiki master, certified Usui Shiki Ryoho teacher and instructor in hatha yoga, for which he completed an instructor’s program in India. For Bharat, Guided Meditation is not about mantras, chanting, Buddhism, Hinduism, or any exotic rituals. Rather, it is a discipline that involves quieting the mind and developing awareness of our mental and physical patterns. Medical research is beginning to show the benefits of meditation are significant and quantifiable. Practitioners know that the effect it can have on quality of life is profound. Reduction of stress and anxiety is only the beginning. Meditation helps to manage pain and emotions by raising the level of awareness (not by suppression), which is the key to finding health and happiness within.